The Mondopack XL Saddle Bag is an oversized Saddle bag with two side opening moulded panels for huge access to all your gear. Inner mesh pockets keep keys and small tools in place. Rear Zippered panel allows the main compartment to expand for extra storage. 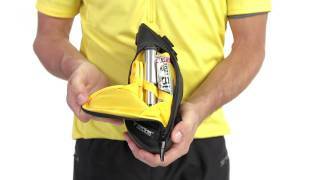 Excellent for suspension bikes, folding bikes, endurance racers, day touring or for cyclists who like to carry extra gear.